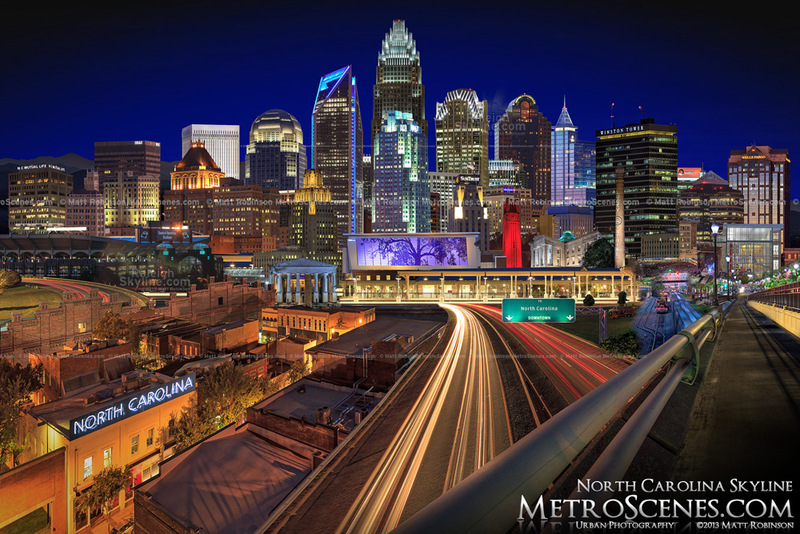 Now for the North Carolina cityscape at night. In case you missed it, here’s the daytime panoramic. Like the daytime version, this is composed from my personal photograph stock around the state. So if something is missing, I likely never took of picture of it myself. Head over to MetroScenes.com to find some of the source photographs.